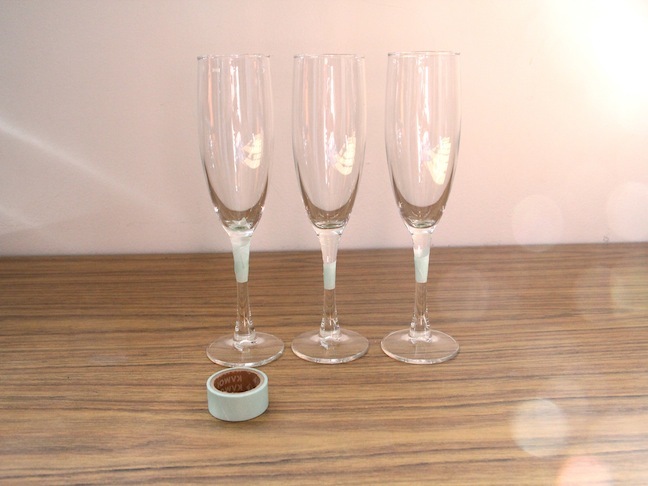 Make your champagne glasses even more party friendly with this easy project. 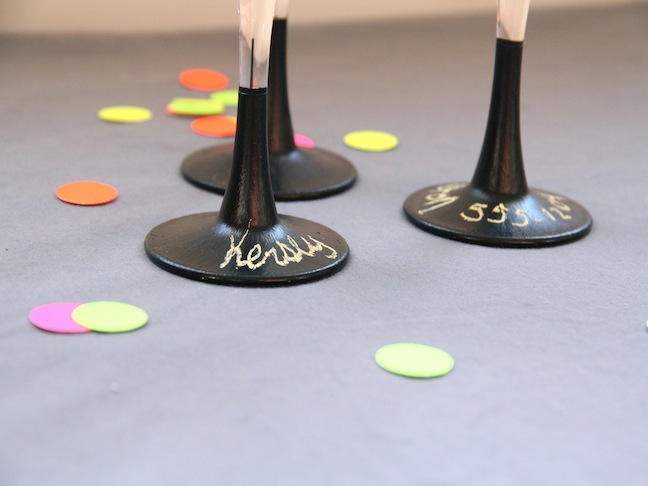 Your guests can add their names, or fun facts about themselves or even their phone numbers. 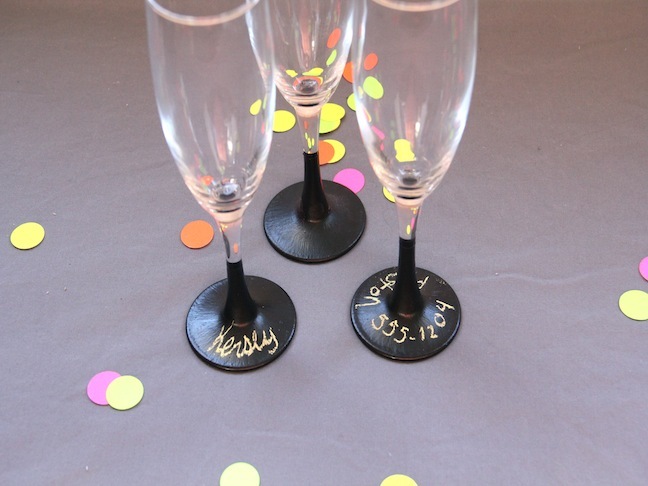 They will be the talk of the party, guaranteed! 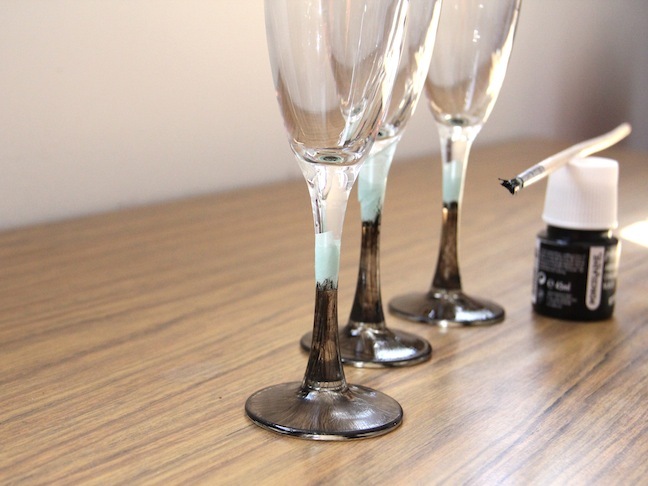 Start by cleaning your glasses thoroughly to make sure the paint adheres well in the end. Then tape them off making sure to create an even line on the bottom part of the tape since that will be the line the paint will reach. 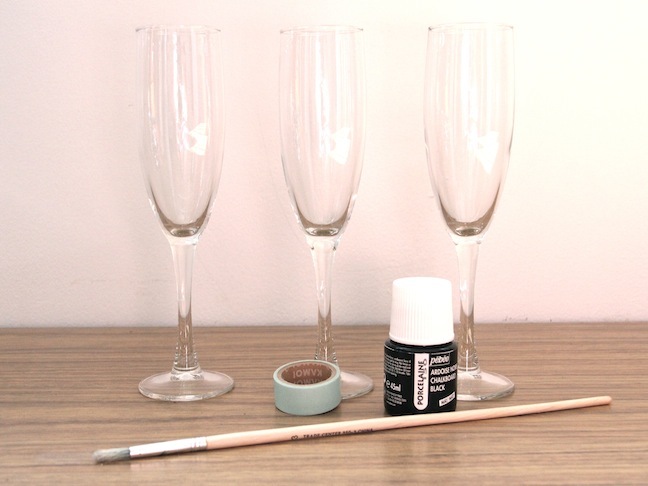 Paint the glasses, coat by coat. Make sure not to rush this part. The paint tends to peel off leaving rough patches if you try to add another coat before the first is dry. After they are all coated up, let them sit for 24 hours and then pop them in the oven (follow the directions on the bottle of paint).